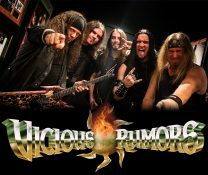 American power metallers Vicious Rumors may not be superstars, but the group deserve credit for being true to their musical identity and consistently delivering heartfelt, fashion-resistant music that their fans clearly appreciate. 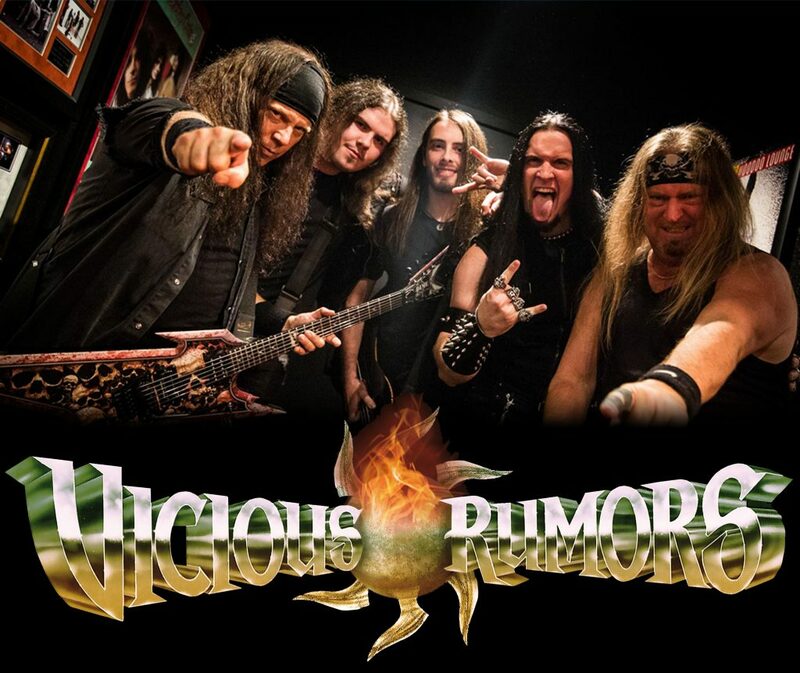 Vicious Rumors were formed in 1980 in Santa Rosa, California, by guitarist Geoff Thorpe. Filling out the original lineup were vocalist Mark Tate, guitarist Jim Cassero, bassist Jeff Barnacle, and drummer Walt Perkins. The band first received recognition that same year when they began performing Metal Mondays in Bill Graham's Old Waldorf night club. These shows represented the birth of what would become known as the Bay Area metal scene: the biggest, longest-lasting, most important metal community in the United States. After self-releasing a few singles and being included on several important metal compilations, Vicious Rumors signed their first record contract in 1984 with the surging Shrapnel Records, operated by fellow northern Californian and metal entertainer Mike Varney. By this time, several drummers had been enlisted to fill a spot vacated by Perkins; Larry Howe got the job full-time and would hold if for ten years. Tate was also replaced with vocalist Gary St. Pierre from Hawaii, Chuck Moomy had replaced Cassero on guitar, and bassist Dave Starr replaced Barnacle. Soldiers of the Night The group's full-length debut, Soldiers of the Night, was released in 1986 to an especially warm European response. East Coast shred guitar hero Vinnie Moore was brought in briefly after Moomy's departure, but the virtuoso didn't stay long, as he was anxious to begin his solo instrumental career. Before the door closed behind Moore, St. Pierre was also sent packing, and the classic Digital Dictator Vicious Rumors lineup was formed: vocalist Carl Albert, guitarists Thorpe and Mark McGee, bassist Starr, and drummer Howe. This group would stay together for nine years. The Shrapnel follow-up, Digital Dictator, was released in 1988, and as the band's popularity began to grow domestically, they were signed to Atlantic Records. The group's self-titled debut for the label followed in 1990, and Vicious Rumors supported it with extensive touring. While never close to a top-level U.S. metal act, it appeared at the dawn of the '90s that the band had a real shot at breaking into the spotlight with bands like Mötley Crüe and Queensrÿche. That upward trend continued with 1991's Welcome to the Ball and 1992's Plug in and Hang on: Live in Tokyo, which commemorated an extremely successful Japanese tour. Word of Mouth During a layoff due to an injury to Thorpe, the group was released from their contract with Atlantic, perhaps due not only to the band's relative inactivity, but also to the declining stateside popularity of the melodic power metal genre. Many European and Japanese record deals followed, as well as a few member changes while the band trudged on through the '90s. Word of Mouth was released in 1994 and the group remained busy touring the U.S. and Europe. As they were preparing their next release, Something Burning, Carl Albert died on April 22, 1995. The band decided to continue on, releasing an Albert tribute EP and live full-length recording of the singer's final performance. Something Burning was finally released in 1996, and the disc featured Thorpe pulling double duty by filling in on lead vocals. This record solidified Vicious Rumors' European base as many positive reviews and another successful tour followed. Cyber-Christ While Thorpe's vocal work was more than competent, the guitarist couldn't approach Albert's dexterity, and a new vocalist was needed in order for the band to incorporate older songs into their live set. Singer Brian O'Connor joined the group for 1998's Cyber-Christ's recording and tour. O'Connor was replaced in 2000 by Morgan Thorn, who appears on the 2001 release Sadistic Symphony. 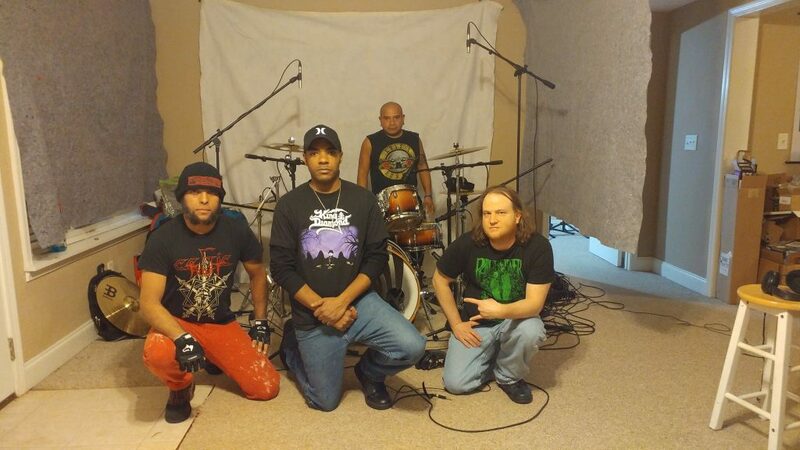 The band went on a short hiatus after the album's release, eventually coming back together in 2006 and releasing their ninth studio long-player, Warball, which saw them returning to the more traditional, less experimental power metal style of their earlier recordings. 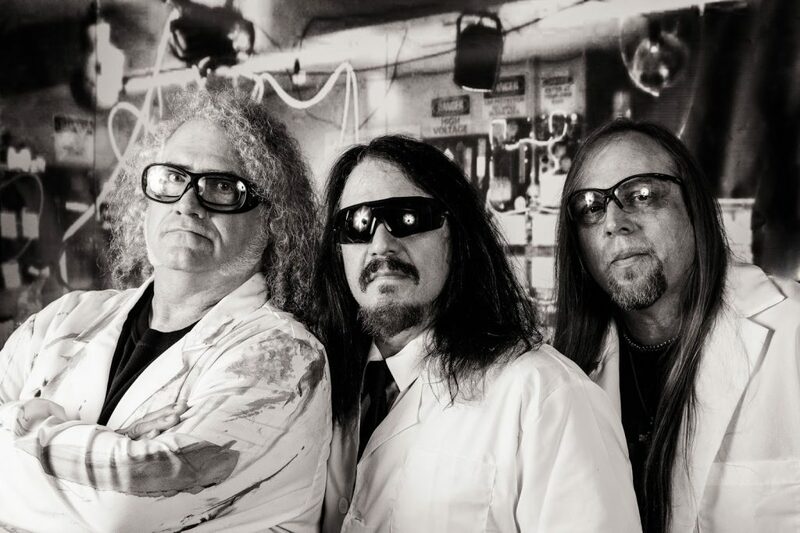 The band moved to the popular German hard rock label SPV for their next round of releases: 2011's Razorback Killers, 2013's Electric Punishment, and 2016's Concussion Protocol. Throughout history, compassionate minds have pondered the dark and disturbing question: what is society to do with those members who are a threat to society, those malcontents and misfits whose behavior undermines and destroys the foundations of civilization? Different ages have found different answers. Man is not in control of anything. The album will be a special edition vinyl, album also available as a download, and is scheduled to release February 8, 2019.